The Pauline Roche story seems to have been very popular. This is a transcript of the very lengthy letter that John Roche O’Bryen wrote to his local paper “The Bristol Mercury and Western Counties Advertiser” on the 29th December 1855, giving his side of the story. It is quite clearly carefully planned, and done with the support of the editor of the Bristol Mercury. The italics for inference are printed in the paper, so it is definitely planned with some care, and not just a letter to the editor. It’s also a classic example of bad PR probably making things worse. In a taster of things to come, JROB starts his letter with the Latin tag “Audi alterum partem” best translated as “let the other side be heard as well”, and finishes with “Fiat Justitia, ruat caelum” – “Let justice be done though the heavens fall”. This was most famously used by Lord Mansfield in 1772 in the first major English case on the legality of slavery. He was against. So pompous, self-serving, and an astonishing attack in print on a teenager from a forty five year old doctor. Quite why he chose to go public when he did is not entirely clear, but it seems to be provoked by a decision by “the Court of the Corporation of the Poor” [they ran the Bristol workhouse]. I assume they had made the decision to remove JR as one of the guardians, but as yet I have no evidence to support that. To be fair to JR, the Master of the Rolls who heard the case was Sir Thomas Berry Cusack-Smith (1795–1866), who does appear to be faintly bonkers. He was the Attorney-General who prosecuted Daniel O’Connell in 1844 on charges of conspiracy, sedition, and unlawful assembly. During the course of that trial he challenged one of the opposing counsel, Gerald Fitzgibbon, to a duel. SIR – I need make no apology for asking your indulgence to enable me to defend myself by bringing before the public such explanation as I can offer of certain expressions that fell from the Irish Master of the Rolls when called on to settle a mere matter of costs. What purported to be his language appeared in your paper of the 22nd of June last. The course the Court of the Corporation of the Poor have thought proper to adopt, at their meeting of the 11th instant, obliges me, most reluctantly, to re-open a matter I had rather forgotten, not that I feel at all conscious of having done wrong, for, were it so, I would not now ask a hearing. The manifestly partial and one-sided import of the words used by the Master of the Rolls, it was considered, would be their own antidote, for all who knew me in private life were aware how unfounded such “surmises” and “inferences” as he thought it not beneath him to indulge in, were in fact. For this, amongst several other valid reasons, not adverse to myself, which I cannot publish, my friends advised me to let the matter rest, and I now regret that I permitted myself to be prevailed on to leave the matter to public opinion, which, it was alleged, would not fail to discern the ex parte nature of his language, and judge accordingly, instead of at once showing (at all risks) how entirely at variance it was with the judgement of the Master in Chancery, to which no exceptions were taken. 1st – By the manner of proceeding in the court of Chancery, charges to any amount, in number and gravity, may be made at pleasure, without regard to their truth or application, and I was called on to prove a negative, and that extending over a period of 18 years, not even illustrated by dates, to a long list of charges so got up. 2nd – I laboured under the great and irremediable disadvantage of the absence of the most important, I might almost say the only, witness capable of directly answering who had lived with me for eight years: she had left and gone on the Continent, to a situation, some time previously. The rules of the Court require all testimony to be sworn before a Master Extraordinary of that Court. None such being on the Continent, I was deprived of her evidence; my children at home were very young, the others were on the Continent at school, under age, and therefore inadmissible. Hence, to prove the negative, I was compelled to rely on my own and my wife’s evidence, that of any servant I could find who had lived with us during that period, and the very few visitors and friends who knew our private household life sufficiently well (and all know how few such can exist) to be able to speak to the untruth of one or more of these charges. 3rd – I have now, in addition, to contend with the “surmises” and “inferences” which the Irish Master of the Rolls thought proper to indulge in when called on to settle a mere matter of costs. The Minor, Miss Roche, made certain complaints to the Lord Chancellor Brady, who directed that the Master in Chancery, J.J.Murphy, esq, should proceed to examine into and report upon them to him, which was done, and the report presented to his Lordship, when he directed the Master of the Rolls to settle the costs. Every impartial reader of the reported language of the Master of the Rolls must be struck with one fact, that, to use a mild expression, he allowed the gravity of the judge to disappear in the one-sided earnestness of the advocate. It is manifest his language did not meet the justice of the case, and for this view I rely on the finding and judgement of the Master in Chancery, the officer to whom the complaints were referred, and before whom all the witnesses were brought, and the evidence was investigated, and within whose province it came to decide on the validity and effect of the allegations against me; and notwithstanding all the difficulties I had to encounter in rebutting these charges, and the almost impossibility of finding evidence, yet I refer the reader with confidence to his verdict. “In having compelled, or induced said Minor to dine in the kitchen or servants hall, in company with the female servants and younger children of said J.R.O’Bryen. The evidence on both sides having been entered into in respect to these charges, Master Murphy gave the following judgement to which no exceptions having been taken, it was formally embodied in his report to the Lord Chancellor, and to this I now refer, as my reply to the following charges. The above official document fairly disposes, after a thorough investigation, of a long list of specified charges; but there remain a few new ones, brought forward for the first time by the master of the Rolls, and I will now proceed to deal with them. Again the Master of the Rolls indulges in inferences. He is represented to have said-“Now, if the Minor deserved punishment for a falsehood, what punishment would be sufficiently ample for the man who told his niece such a falsehood as that her father died in debt and left her nothing.” The facts of the case show the Master of the Rolls to have been ill-informed, and to have made a grave charge which he ought to have known was untrue in fact. The facts are these:- The father of Minor made his will in 1832 and died in 1835, when Minor was three months old. He left all his real and personal property to his brothers absolutely, save an annuity to his widow, and made no provision for any child or children. Master Goald’s report of 1836, when minor was made a ward, makes it appear that only £1374 remained in Irish funds out of £ 10,000 to which Minor was entitled under the will of her maternal great-grandfather, to whom her father was executor. Her father admits in his will that he drew and spent the money, and accordingly bills were filed against his brothers to recover deficiency. All the property was sold, and did not realise anything like the debt. Hence it was perfectly true to tell Minor that her father had left her nothing and died in debt. That the letter of May 4th, 1854, written by Minor, was a part of a conspiracy, must appear to everyone, when I state that it was proved by several witnesses that the Minor knew she had property of her own, and was not dependant. Sympson, the man-servant who accompanied her when she rode out states in his evidence, “ Minor frequently told him when out riding with her, and he particularly recollects one occasion in the summer of 1851, and he heard her tell the other servants of the house the same thing, that she had property of her own, and that Dr O’Bryen was allowed for her maintenance, and also the keep of a pony for her use;” and the master has found, “I must, however, state my belief that the Minor was not, for a considerable time past, by any means so ignorant of the state of her property and the condition of her affairs as has been represented on her part.” So much for her alleged ignorance up to August 1855 which I am deeply grieved to say she has sworn to. In regard to the letter which this Minor has declared she wrote to Mr Orpen, at the dictation of Mrs O’Bryen, I will only say that Mrs O’Bryen has twice sworn that she only, as was her custom, connected the Minor’s ideas, and faithfully expressed her wishes at the same time without suggestion of her own, and I will add, we both now believe that she thus acted to deceive and put Mrs O’Bryen off her guard. The Minor took care to send to her solicitor the pencil sketch, which at least, demonstrates deep cunning. Again, this unfortunate child has sworn that on October 3rd 1854, when Mr Orpen called to see her, she was engaged sweeping out the school-room, and doing other menial work, while two persons clearly prove on oath that she was dressing to go out to pay a visit and not engaged as stated by her, and one of these witnesses was the servant, who was actually at the moment employed in these duties, who swore, “ saith that Minor hath not been, and was not employed in sweeping out the school-room, or making up her own room at the time of said Mr Orpen’s visit; inasmuch as this deponent was in the act of making said minor’s bed, dusting her room &c.2 Whilst said Minor was dressing to go out, saith “that whilst in said house Minor never swept out school-room, never made up her own room, or did any other menial service.” After this, what reliance can be placed on this Minor’s statement? I will say one word as to dress. This minor so wilfully neglectful of her dress and personal appearance, that for several months Mrs O’Bryen declined to speak to her on the subject for when she did so she received an insolent reply. Hence I was myself obliged, if in the house, to inspect her daily before she went out and when she came down in the morning, and it rarely happened that I had not to send her to her room to change or arrange her dress, brush her hair, and often even to wash her face and neck. For a reason then unknown and unsuspected by us, but which has since transpired (viz:- her intention to found a charge and give it the appearance of truth), she would persist in only wearing old and worn-out dresses that I had several times made her lay aside, and directed to be thrown into the old clothes bag. In fact I had to threaten to search her room and burn them before I could succeed. She put on one of the worst of them outside the day she left my house. I often met her in the street, and had to send her back to change her dress, &c., and notwithstanding all this trouble, my wishes were evaded or neglected the moment my back was turned. The amount of vexation and annoyance this child gave us by her habits and general conduct cannot easily be described. Not a single article of dress was bought for her after Mr Orpen’s visit, and yet an excellent wardrobe was found in her room the day she left. The list is too long to add. There is only one point on which the Master finds against me, viz. striking: on this subject I am unwilling to give details. It is quite true that in a moment of hastiness on two occasions (in 18 years) caused by extremely bad general conduct on the part of Minor, remonstrance having failed, which at these times was brought to a point, and I did strike her once each time as she was leaving the room, and of this, which in reality is nothing, much has been made by those who wanted to make costs, certain to be paid by either party. I will only add, in conclusion, that I hols certain instructions in Minor’s handwriting that she received from a gipsy, proving on the face of it that she was employed to act on this child’s mind. I now submit the case, which I have shadowed(?) out in this letter, not so much in the hope of appeasing the unthinking anger of incompetent and prejudiced persons, as in the certainty of finding justice at the hands of all those who may have taken a very natural and justifiable interest in the allegations made against me, and are yet open to conviction, and are willing to give its just weight to a true and honest statement of facts. It is a most painful position to be placed in, after many years spent in gratuitous and honourable professional service, to be summoned before a tribunal which has no power to acquit or condemn, but can only cast a stigma. But no man of earnest(?) and conscious rectitude chooses to withhold a defence beyond a certain limit, however strong his private reasons may be for so doing. That limit has now been reached in the opinion of friends and in my own, and I take with the utmost confidence the on course which appears left open to me. Dorothy Bell was the daughter of Arthur Smith-Barry, Lord Barrymore. So she is a second cousin of Pauline Barry (nee Roche)’s granddaughters Nina, and Emily, who are in turn, Mgr Henry, Corinne, Basil, Alfred, Philip, Rex, and Ernest O’Bryen‘s third cousins. Dorothy’s father had owned Fota House, which was inherited by his brother James, and then his nephew Robert. Dorothy Bell bought the estate back from her cousin Robert in 1939, for £ 31,000. Quite how the family managed to hold onto their land, and money given Lord Barrymore’s behaviour to his tenants in the 1880’s is some mystery, as is the following description of life at Fota House in the 1940’s. Essentially, it wouldn’t have been much different at any time in past hundred and fifty years. The following description of life at Fota House is largely taken from ‘Through the Green Baize Doors: Fota House, Memories of Patricia Butler’ , and various interpretations of it in the Irish Times, and Irish Independent about five years ago. The subtle distinctions between Irish and English staff, – Two weeks holiday for Irish staff, and a month for English staff, separate dining rooms, and an acceptance of the big house having hot and cold running water while there was none in the village, and the “Oh weren’t the gentry lovely” take on things appears to be a perfect example of false consciousness. Over to Patty Butler. Back in the 1940s, when Dorothy Bell — mistress of the Big House at Fota — arrived home from a day’s hunting, she never did so quietly. She would, recalls former maid Patty Butler, rush through the front door, ringing the bell, and stride through the hall and up the stairs, calling the servants one after the other, “Mary!” “Patty!” “Peggy!”, discarding as she went her picnic basket, jacket, the skirt she wore over her jodhpurs for side-saddle riding, her whip and her hunting hat. As the staff, including the butler, rushed to pick up Dorothy’s belongings, her lady’s maid hurried to run a bath. Patty was just 23 when she started work as the “in-between maid” at Fota House in 1947, after returning to Cork from England. On the advice of her cousin Peggy, who was working in Fota as the parlour maid, Patty applied for the job. On the day of the interview, a somewhat awed Patty, who came from the nearby village of separate, was shown into the library by the butler, George Russell. “To me, the inside of Fota House on that day seemed like a palace,” she recalls. “I felt very small but also very excited in the midst of all this grandeur.” She was greeted by the mistress, who was sitting at a desk. The interview was brief. “Patty, have you come to join us?” inquired Dorothy. “The housekeeper will show you your duties. It won’t be all clean work, so you won’t be dressed up as you are now. Mrs Kevin will tell you what to wear.” And with that began a quarter of a century of dedicated service, as Patty became a member of staff in the efficiently run, though sometimes-eccentric, household a few miles outside Cobh. Over the years she was promoted to housemaid, lady’s maid and eventually cook. Before Patty’s arrival, the family — The Honourable Mrs Dorothy Bell, her husband Major William Bertram Bell and their three daughters, Susan, Evelyn and Rosemary — had been looked after by an army of servants. According to the census return for 1911, 73 people were on site at Fota House on Sunday, April 2nd, 1911. None of them were the Smith-Barry family who had lived in Fota House for generations, as records show they were away on holiday at the time. In the 1930s, an estimated 50 men had worked on the grounds of Fota alone, but by the time Butler took up employment in the Big House in 1947, overall staffing levels had fallen to about 13. 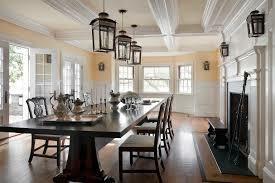 “There was a lovely homely feeling there. It was a very pretty house and Mrs Bell was very into flowers, so it was always lovely and very pretty,” recalls Patty, now 87. The anecdotes are legion — the way the servants occasionally ‘borrowed’ the Major’s Mercedes to go to Sunday Mass when their van didn’t work. How the housekeeper, a kindly soul with a strong Scottish accent, kept a cupboard in her bedroom especially for the pieces of china she broke while dusting Dorothy’s treasured ornaments. The times the servants were all driven to Cork Opera House by the chauffeur — the Bells had a great affection for the theatre and felt their staff should enjoy it too. And then there was Dorothy’s eccentric habit of cutting the fruit cake in such a way that nobody could take a slice without her knowledge, and, of course, the parties that took place when the Bells were away, travelling the world. One day, however, Dorothy remarked that she had received an anonymous letter claiming that Patty and Peggy were having “parties” in the house while she was away. As Patty stood there, quaking, Dorothy laughed and told her relieved maid that she had thrown the letter in the fire. The bed linen was beautiful. Each linen pillowcase had the Smith Barry crest in the corner and frills around the edges. After ironing, Patty remembers, each frill had to be carefully “goofed” or “goffered” by hand until it was perfectly fluted. The gentry came down for breakfast — kippers, kedgeree, rashers, sausages and eggs or boiled eggs, served with toast and fresh fruit from the garden — each day at about 9am. “You always knew they were gone down because their bedroom doors would be open. So you’d go up and make the beds and tidy the room and wash out the bathroom — but you had to be back behind the green baize door by 11am.” In the evenings, she wore a black dress with a small apron and a smaller white cap with a black velvet ribbon. Male servants also wore black. “There was always lots to do,” she recalls. After the morning household tasks came lunch. “I’d be helping in the pantry and at the lunch. There was a long walk from the kitchen to the dining room — it was three or four minutes, but there were no trollies, so everything was carried by hand.” Lunch — which could be anything from roast beef to pigeon pie, rabbit, fish soufflé or cold meat in aspic jelly with vegetables from the garden, water and a selection of wines — could last from 1pm to 2.30pm. Tea was at 5pm in the Gallery in summer and in the library in winter. “Tea, for which there were cucumber and marmite sand-wiches, scones, tea and a cake, could last until 6.30pm,” she says. At 7pm, the gentry would go up to their bedrooms to change and have a bath before dinner — a lengthy four or five-course affair, which usually included game from Fota Estate. “Each dinner was served with suitable trimmings. Butter and cream were used in food preparations, so the flavours were always delicious,” she says. The kitchen had meat from the cattle and Fota’s home-produced milk, cheese and butter, as well as veg and fruit from the garden. Christmas was a particularly memorable time, she recalls. A single large Christmas tree was placed in the Front Hall, decorated with streamers, silver balls and other decorations, and on Christmas morning Dorothy gave each of the staff presents. “I remember I got a white apron,” recalls Patty, who says the mistress also distributed gifts to her tenants. “On Christmas morning, the family went to the library to exchange presents. They loved gifts such as books and music records, ornaments or exquisite boxes of chocolates.” The chocolates, she says, often lasted for weeks, as the family usually ate only one at a time. On Christmas Day, the servants had Christmas dinner in the middle of the day in the Servants’ Hall, while the family helped themselves to a cold lunch in the dining room. “This was the only day of the year that they waited upon themselves so that we could enjoy our Christmas dinner,” Patty recalls. That evening, the servants lined up in the Hall to watch the family, in full fancy-dress — these clothes were stored in a special chest in the attic — parade into the dining room. “We had to bow to them as they passed by. I remember one year in particular when I could scarcely stop myself from laughing. Mrs Kevin, the housekeeper, carried a bell behind her back and as she bowed to each individual, the bell rang out!” After the fancy-dress parade, the family enjoyed a traditional Christmas dinner followed by plum pudding. They later drank to each other’s health from a silver ‘loving cup’, which was passed around. The men played billiards and the women talked and drank coffee in the library until late in the evening. There were plenty of famous guests at Fota: Lord Dunraven of Adare, Co Limerick, Lord Powerscourt from Wicklow, the Duke and Duchess of Westminster and, according to the Visitors Book of Names, “eight international dendrologists with illegible signatures”. The Bells enjoyed life, Patty recalls. “They had a lovely life; they were into everything. They went to the Dublin Horse Show and to the summer show in Cork. In his study, the Major had pictures of the bulls and cows with their first-prize rosettes. “They had a very privileged life and they enjoyed it,” she continues. There always seemed to be plenty of money. Mrs Bell had her own money, while the Major was, says Patty, “supposed to be a wizard on the stock exchange. 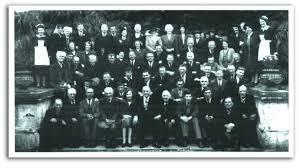 They also had the farm and they owned a lot of houses and property in Cobh and Tipperary”. The household slowly began to change. A series of nurses were employed to nurse Major Bell in his declining years until he died. Dorothy moved to the Gardener’s House, which was situated in the orchard at Fota, and lived there until she died a few years after her husband, in 1975. The estate today comprises 47 hectares of land, including the parkland, gardens and arboretum. 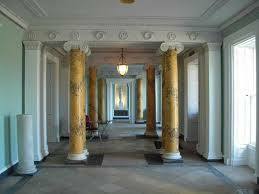 In December 2007, the Irish Heritage Trust took over responsibility for Fota House, Arboretum & Gardens. Arthur Hugh Smith-Barry, 1st Baron Barrymore, PC (17 January 1843 – 22 February 1925), was an Anglo-Irish Conservative politician. He was the son of James Hugh Smith Barry, of Marbury, Cheshire, and Fota Island, County Cork, and his wife Eliza, daughter of Shallcross Jacson. His paternal grandfather John Smith Barry was the illegitimate son of James Hugh Smith Barry, son of the Hon. John Smith Barry, younger son of Lieutenant-General The 4th Earl of Barrymore (a title which had become extinct in 1823) He was educated at Eton and Christ Church, Oxford. Smith-Barry entered Parliament as one of two representatives for County Cork in 1867, a seat he held until 1874. 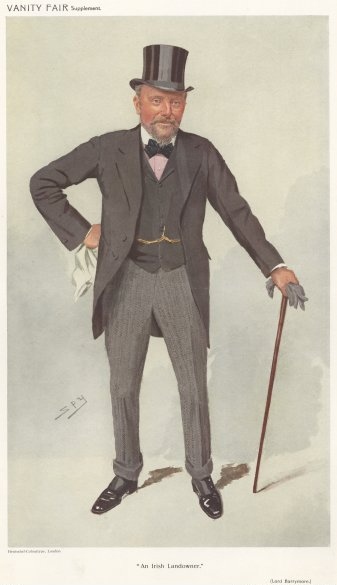 Smith-Barry remained out of the House of Commons for the next twelve years but returned in 1886 when he was elected for Huntingdon, and represented this constituency until 1900. He was also High Sheriff of County Cork in 1886 and was tasked by Arthur Balfour to organise landlord resistance to the tenant Plan of Campaign movement of the late 1880s. He was sworn of the Irish Privy Council in 1896. In 1902 the Barrymore title held by his ancestors was partially revived when he was raised to the peerage as Baron Barrymore, of Barrymore in the County of Cork. Smith-Barry played two first-class cricket matches for the Marylebone Cricket Club, playing once in 1873 and once in 1875. Lord Barrymore married firstly Lady Mary Frances, daughter of The 3rd Earl of Dunraven and Mount-Earl, in 1868. After her death in 1884 he married secondly Elizabeth, daughter of U.S. General James Wadsworth and widow of Arthur Post, in 1889. There were children from both marriages, a son from the first, and a daughter from the second. Lord Barrymore died in London in February 1925, aged 82, and was cremated at Golders Green Crematorium. His only son James had died as an infant in 1871 and consequently the barony became extinct on Barrymore’s death. 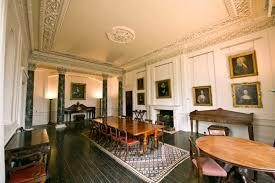 The Irish family seat of Fota House was acquired by his daughter from his second marriage, the Hon. Dorothy Elizabeth Bell (1894–1975), wife of Major William Bertram Bell. Lady Barrymore died in May 1930. On the death of Arthur Hugh Smith Barry in 1925, the estates, which were entailed, passed to his brother James Hugh Smith Barry and on his death it passed to James Hugh’s son Robert Raymond Smith Barry. 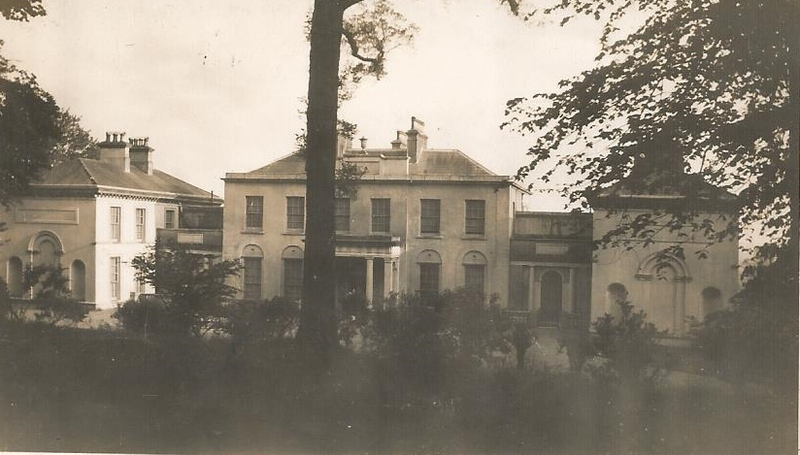 In 1939 the estate of Fota Island and the ground rents of areas was acquired by Arthur Hugh’s daughter, The Hon. Mrs. Dorothy Bell for the sum of £31,000. On her death, in 1975, it was left to her daughter Mrs. Rosemary Villiers, and Fota House is now the property of The Irish Heritage Trust. Posted in Barry, co. Cork, Ireland, LondonTagged Arthur Hugh Smith-Barry, Earl of Barrymore, Elizabeth Post, Elizabeth Wadsworth, Fota House, Fota Island, General James Wadsworth, High Sheriff of Cork, James Hugh Smith-Barry, John Smith-Barry, Marbury Cheshire, Marbury Hall, Mrs. Dorothy Bell, Robert Raymond Smith Barry. This is one of a series of posts covering Pauline Roche’s marriage into the Barry family,All three of her daughter Edith’s sons served in the First War, both Will and Joe in the Queen’s (Royal West Surrey) Regiment, and Gerard in the Royal Fusiliers. The following text was found in “The Tablet: The International Catholic News Weekly.” Reproduced with kind permission of the Publisher. The Tablet can be found at http://www.thetablet.co.uk . Pauline Roche (1835 -1894) has been part of the story for a while. But I’m becoming increasingly sure that she helps place a lot of things into context. This is one of a series of posts covering her marriage into the Barry family, and her daughter’s marriage into the related Smith-Barrys, and a look at where they all fit into both Irish, and British society. William Gerard; born 1864; d. 1940 in Saint-Jean-de-Luz, unmarried. Pauline; prob born 1865 or b.1867 – d. after 1911; unmarried. Edith,born probably 1866, but possibly as early as 1861, and possibly 1863. Edith and Mary both give their ages as 35 in the 1901 census so it’s likely they are twins. Mary Barry, b. 1866, married Cecil Smith Barry, (b. 19 Oct 1863, d. 21 Nov 1908) so Cecil was Pauline Roche’s son-in-law. Edith marries twice, and has three sons with her first husband; William, and Joseph b. 1891 who are twins, and then Gerard b. 1893, a year later,, and a daughter, Janet b. 1905, with her second. Gerard Patrick Hayes 1892 – 19?? Edith married Patrick Aloysius Hayes (1847-1900) who was born in Dingle, Co Kerry in 1847, and was a surgeon-major H. M. Army Medical Department, and they had three sons; William Hayes 1891 – 1918, J B (Joseph Barry )Haynes 1891 – 1927, and Gerard Patrick Hayes. Will and Joe appear to be twins, according to the 1901 census, both aged 9, Gerry is a year younger at 8, so probably born in 1892. Patrick Hayes Senior died in Wimbledon on the 20th March 1900. Edith then married Lieutenant General William Babtie V.C (1859 -1920), as a widow in 1903, and had a daughter Janet born in 1905. Edith died on 25th June 1936 at 18 St Patrick’s Place, Cork and her address was given as The Hermitage, Rushbrooke, Cork; probate was given to Gerard Patrick Hayes, who described himself as an advertising salesman. Mary and Cecil Smith-Barry had two daughters, Cecily Nina b 1896, and Edith b 1907. Cecily died in Bournemouth in the winter of 1954, “aged 56” actually 58. By that point she was firmly calling herself Nina Cecily. She was entered on the General Register of Nurses on Feb 16 1923, and still on the register in 1940, where her address was given as 9 Walkers Row, Fermoy, co. Cork. 1937 her address was Ruddiford, Wimborne Road, Red Hill, Bournemouth. She got her nursing certificate between 1917-1920 at St George’s in London. By 1943 she was at 3 Bodorgan Road, Bournemouth. There is very little trace of Edith Smith-Barry to date. All three of Edith’s sons served in the First War, both Will and Joe in the Queen’s (Royal West Surrey) Regiment, and Gerard in the Royal Fusiliers. Will was awarded a D.S.O. (Distinguished Service Order), and Joe a M.C. (Military Cross). The D.S.O. is awarded for an act of meritorious or distinguished service in wartime and usually when under fire or in the presence of the enemy. The Military Cross is a decoration for gallantry during active operations in the presence of the enemy. The decorations rank two, and three, respectively, in the order of precedence behind the Victoria Cross, which, incidentally, was awarded to their step-father Lieut.-General Sir William Babtie during the Boer War. William Hayes died of flu on the 20th October, 1918, in Italy, and is buried at Staglieno Cemetery, Genoa. He had served throughout the First War, having been part of the original Expeditionary Force in 1914; out of the 1,000 men of 1st Battalion The Queen’s Royal Regiment who landed in France in 1914, only 17 were alive at the Armistice. So Will almost made it. Gerard was wounded in 1916, when he was also mentioned in dispatches by Sir Douglas Haig, and Joe was awarded the Military Cross the same year. Will was mentioned in dispatches, and awarded the D.S.O. in 1917. Joe survived the war, but died on December the 19th, 1927, aged 35. He had married in the winter of 1920, and his widow Gwen [nee Harold] survived him, and died almost fifty years later in 1976. Their address was given as the Very House, Worplesdon, Surrey, when Gerard Patrick was granted probate. Joe left £ 226. 13s. 11d., a present day equivalent of about £ 66,000. Pauline Barry died in the autumn of 1894, aged 56. The registration district was Midletown, in co. Cork, so we can safely assume that she died at home in Ballyadam. All three of her grandsons had been born before she died, but none of her granddaughters. Patrick Hayes died at Wimbledon on the 20th March 1900, presumably at 132 Worple Road Wimbledon where the boys were living at the time of the census in 1901. The house itself appears to be a relatively small two storey late Victorian semi-detached house. The greatest curiosity is that, at the time of the 1901 census, all three boys were living there without their mother, and only three servants looking after them. Elizabeth O’Shea aged 30, described as a nurse domestic on the census, but presumably their nanny; and Mary Phillips, a 21 year-old house maid, and Violet Gatling, also 21, who was the cook. The census was taken ten days before Will, and Joe’s tenth birthday on the 11th of April. The censuses in 1901 in both Ireland, and England were taken on the same day 31st March, though the forms in Midleton in Ireland were not filled in until the 12th April 1901. They show that Edith Hayes was in Ireland staying with the Coppinger family at Midleton Lodge, rather than with her brother and sisters at Ballyadam House, nearby. There could be any number of reasons for this, Pauline, and Rose Barry are both living at Ballyadam with only one servant, in a sixteen room house outside of town, whereas the Coppingers are in the middle of Midleton in a rather larger house, with four daughters aged between eleven and twenty-one, a governess, and seven servants. Quite simply, it may well be that life at Midleton Lodge was a bit livelier, and as the widowed mother of three youngish sons Edith was looking for a rest, and some adult company. In all likelyhood, the Coppingers were also likely to be cousins of some sort. Both families, the Barrys, and the Coppingers were living in considerable comfort, compared to the majority of the population of Ireland at the time. The Coppinger house appeared to have 22 rooms, and 20 outbuildings including 6 stables, a coach house, harness room, three cow houses, a calf house, dairy, piggery, fowl house, boiling house, barn, and a workshop, shed, and store. The house had “16 windows at the front” , in fact from the look of it, five windows at the front in a good solid double fronted Georgian house that is now the local council offices. Just to give some idea of how mobile all the families were Thomas Stephen Coppinger says in the 1901 census that he was a 57 year old merchant, born in Lucca, Italy in 1842. Ballyadam, by contrast, was marginally smaller with 16 rooms, and 9 stables, a coach house, a harness room, 2 cow houses, a calf house, 2 piggeries, a fowl house, boiling house, barn, potato house, and 2 sheds. The Barrys were also listed as the owners of two 2-room cottages, each with 2 outbuildings next door to Ballyadam House. The family living in the smallest house, though still more than comfortably, were Cecil, and Mary Smith-Barry. In 1901 they were in Castlemartyr, co. Cork, in the second largest house in the village, with 10 rooms, “eight windows at the front” , two stables, and a coach house. It was a mixed marriage, with Cecil a member of the Church of Ireland, and Mary and the children Roman Catholic. They only had one servant with them though, twenty-three year old Julia Casey. At the time, 1901, Worple Road was just round the corner from the All England Tennis and Croquet Club, until it moved to Church Road in 1922. The site became the sports ground for Wimbledon High School for Girls. By 1911, Will had been gazetted into the Army, Gerry was at Beaumont College, in Windsor, and Joe was an “army student” boarding at Edge Hill Catholic College in Wimbledon. Edge Hill became Wimbledon College, and it was a third of a mile, or about five minutes walk from 132 Worple Road. Amongst Joe’s fellow students were Charles Joseph Weld, Thomas Joseph Weld, and Cecil Chichester-Constable, whose aunt Esther had married Stephen Grehan Junior in 1883, and was the mother of Major Stevie Grehan, (1896 -1972) whose memoirs of the First War are held, and documented in the Grehan papers at University College, Cork. So, slightly curiously, both Joe Hayes, and Cecil Chichester-Constable were both related to the O’Bryen’s at Ernest O’Bryen’s generation. Joe, Will, and Gerry’s mother was his second cousin, and Cecil’s uncle, Stephen Grehan Junior, was also his second cousin. It’s all a very small world. It is not entirely clear as to where all the Hayes boys went to school. Both Will and Gerry went to Beaumont, in Windsor, with Will going on to Sandhurst, before receiving his commission in 1911. Joe was just short of twenty years old when he was described as an “army student” at Edge Hill, so old to still be at school. He may well have been at Beaumont as well. It would be slightly odd to send two out of three boys to one school, and one to another. Beaumont was certainly grand, being where it was on the edge of Windsor Great Park, it rapidly developed a claim to being the “Catholic Eton”, a tag at the school was “Beaumont is what Eton was: a school for the sons of Catholic gentlemen”, though similar claims have been made for Stonyhurst , Ampleforth, and the Oratory. Beaumont was one of three public schools maintained by the English Province of the Jesuits, the others being Stonyhurst, and St Aloysius’ College, Glasgow. To be fair to all of them, Stonyhurst has much the greatest claim, having been founded in 1593 at St Omer, in France to educate the sons of Catholics, who couldn’t get a Catholic education in Elizabethan England. None of the other three were founded until the C19th. The family were still all very close, and in the 1911 census all the unmarried Barry siblings were at Ballyadam House, along with Edith’s eight year old daughter, Janet Babtie, who was the youngest of Pauline and William’s grandchildren. They had a couple of servant girls, and amusingly, Pauline claimed to be two years younger than she was ten years before, and Rose was a year younger. Meanwhile Mary Smith-Barry had moved to a smaller house about ten miles away at Ballynoe, on the outskirts of Cobh. She is forty-five years old, and has been a widow for three years. The house is rented from her late husband’s cousin Lord Barrymore, who seems to own most of the village. Mary seems to be living quietly in the village with her daughters (Cecily) Nina who is now fifteen, and four year old Edith, and a nineteen year old servant girl. To put things in perspective, when Cecil died in 1908, he left just over £ 5,000 [ the best current-day equivalent is £ 3.2m]. In the same year, The Old Age Pensions Act 1908 introduced a non-contributory pension for ‘eligible’ people aged 70 and over. The pension was 5 shillings a week, about half a labourer’s weekly wage, or £ 13 p.a. Cecil’s £ 5000 was the equivalent of three hundred and eighty four years of old age pension, so Mary, and the children, were hardly paupers. Anne Smith-Barry b. 14 Mar 1817 d. 8 Dec 1834 unmarried. John Smith-Barry b. 25 Sep 1818 d. 9 Apr 1834 unmarried. Captain Robert Hugh Smith-Barry b. 13 Jan 1820, d. 25 Apr 1849 unmarried. He was a Captain in the 12th Lancers, and a Justice of the Peace (J.P.), and Deputy Lieutenant (D.L.) for County Cork. He was also a J.P. in Hampshire. He was Admiral of the Royal Cork Yacht Club for a while, as was his eldest brother James Hugh Smith-Barry (1816-1856), the father of Lord Barrymore. He inherited Ballyedmond, in Midleton, County Cork, from his uncle John Courtenay. Richard’s mother was a member of the Courtenay family who owned Ballyedmond, and he inherited it from his unmarried uncle, John Courtenay. Robert Courtenay Smith-Barry b. 19 Feb 1858. He died unmarried,at Bar View Strand, Youghal on 13th March 1930 and lived at Bar View, and Ballyedmond, County Cork,. His estate amounted to £ 57,091. 8s. 5d. in England. Aileen Emma Smith-Barry b. 25 Apr 1861, d. 1948 married Godfrey Hugh Wheeler Coxwell-Rogers and lived at Dowdeswell Court, Lower Dowdeswell, Gloucestershire, England, and at Ablington Manor, Bibury, Gloucestershire. They have two children Florence Aileen Coxwell-Rogers b.17 Jan 1883, and Richard Hugh Coxwell-Rogers b. 10 May 1884. Also a spectacular divorce case in 1889, she says he gave her the clap, and regularly physically, and verbally, attacked her, he says she was shagging the vicar in a field in Gloucestershire…… Her petition seems to have been dismissed. This is one of a series of posts covering Pauline Roche’s (1835 -1894) marriage into the Barry family, and her daughter’s marriage into the related Smith-Barrys, and a look at where they all fit into both Irish, and British society. John Smith-Barry (1793-1837) was the grandfather of both Cecil Smith-Barry ( Pauline Barry[nee Roche]’s son in law, and also Arthur Smith-Barry, Lord Barrymore. In turn, John’s great-grandfather, James Barry, (1667-1748) was the 4th Earl of Barrymore. 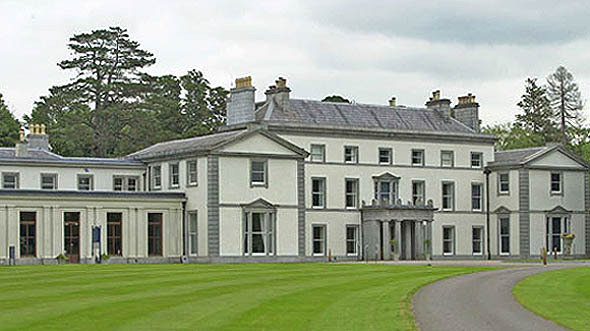 When John Smith Barry (1793-1837) died in 1837, his eldest son, yet another James Hugh,[like his grandfather, James Hugh Smith Barry (1748-1801)] inherited the family estates at Marbury, in Cheshire, and Fota Island in co. Cork. James Hugh,died in 1856, aged forty years old, and the estates were inherited by his thirteen year old son, Arthur Smith-Barry (1843-1925). James Hugh Smith-Barry (1816-1856) inherited both Marbury Hall, and Fota House on the death of his father in 1837. His mother’s family,the Courtenays, owned Ballyedmond, in Midleton, co. Cork, which was inherited in turn by Eliza Courtenay’s brothers, George, and then John. John Courtenay, who appeared to be unmarried, left Ballyedmond to his nephew [and James Hugh’s youngest brother] Richard Smith-Barry in 1861. He, in turn, leaves it to his son Robert Courtenay Smith-Barry [Cecil Smith-Barry’s eldest brother], who, in turn, leaves it to his nephew Guy Forster/Smith-Barry on his death in 1930. The gardens at Fota were begun in 1825 when John Barry-Smith, commissioned Richard Morrison and his son Vitruvius to transform an old hunting lodge into his principal Irish residence. The Morrisons were responsible for the ancillary buildings and probably also helped with the garden layout and demesne park, whose surrounding walls and plantations were largely created at this time. The spreading lawns and Walled Garden, with its rusticated piers and wrought-iron gates, belong to John Barry-Smith’s time. James Hugh Smith Barry had the formal gardens at Fota House laid out, and was responsible for creating the famous arboretum in the 1840s. He constructed the Fernery and the Water Garden by reclaiming a large area of boggy ground, and the Orangery and Temple soon followed. James Hugh disliked the damp climate, however, and spent much of his time away from Ireland, but his son Arthur who became the first (and last) Lord Barrymore devoted himself to Fota; with the help of his gardener William Osbourne, he laid the basis of the famous collection of trees and shrubs that it now contains. Lord Barrymore’s work was continued by his son-in-law and daughter, Major and Honourable Mrs Dorothy Bell, who continued planting here until the late 1960s, adhering faithfully to old gardening traditions. 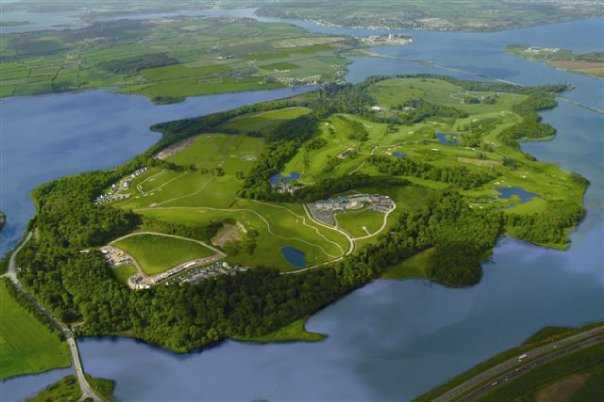 Around the same time that this work was being undertaken in Cork, he made the decision to carry out extensive changes to the buildings and parkland at Marbury. In the 1840s, using the services of Anthony Salvin as architect and James Nesfield as landscape gardener, the extended 18th century house was transformed in the style of a French chateau. Both Salvin and Nesfield were highly regarded nationally in their respective fields and were prolific in their work in England. It was a slightly curious commission because Anthony Salvin seemed to specialise in re-modelling castles , and cathedrals. In 1835 he worked on Norwich Castle, the following year he repaired Newark Castle. and in 1845 In the early 1840s,he repaired Carisbrook , and Caernarvon Castles, and in the 1850’s, he restored the Salt, Wakefield, and the White Towers at the Tower of London,and the Chapel of St Peter ad Vincula. Following this he was instructed by Prince Albert to carry out work on Windsor Castle. In 1852 he also started work on the restoration of Alnwick Castle in Northumberland. Salvin, also worked on Norwich, Durham, and Wells Cathedrals, and he also rebuilt the keep of Durham Castle for student accommodation, and worked on restoring Trinity College, Cambridge. The re-modelling of Marbury cost £7,700 and housed his grandfather James Hugh Smith Barry (1748-1801)’s 1770’s valuable and grand collection. Marbury Hall apparently had elegant, spacious rooms, an impressive staircase and intricate plaster work, and according to the 1911 census return signed by Alice Knappett, the thirty eight year-old housekeeper, the house had 60 rooms. 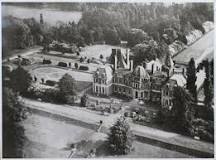 The house was demolished in 1968, and the grounds now form part of Marbury Country Park.